Comic book cover style illustration. 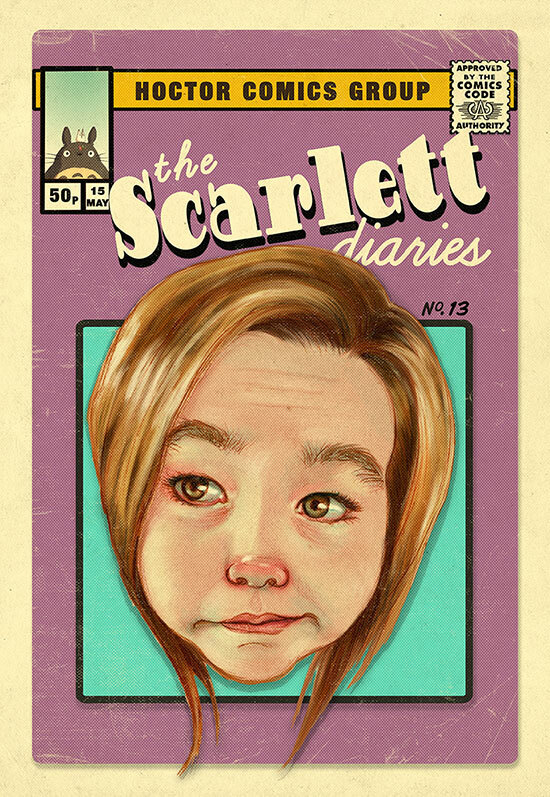 Caricature of Scarlett. She’s fan of Studio Ghibli, so I popped the character Totoro into the corner art for her.